Currently, the waveform displayed on audio sequence/strip is a hollow black outline, while the text displayed on the same strip is also black, which makes it less identifiable. Maybe we can improve the style design? rB6562e4ebe9dd: Fix T46189, draw style for waveforms occludes sequence strip text. Leon Cheung (leon_cheung) raised the priority of this task from to Needs Triage by Developer. Leon Cheung (leon_cheung) set Type to Design. Leon Cheung (leon_cheung) added a subscriber: Leon Cheung (leon_cheung). Campbell Barton (campbellbarton) assigned this task to Antony Riakiotakis (psy-fi). Campbell Barton (campbellbarton) added projects: BF Blender, BF Blender: Regressions, User Interface. Also prefer previous draw-type which didn't have the conflict with text. Filled draw-style also is easier to see when volume is mostly loud or mostly quiet. Agreed on the filled draw-style @Campbell Barton (campbellbarton). I also find it more aesthetically pleasing. Couldn't it be made user-customizable through User Preferences under Themes? Antony Riakiotakis (psy-fi) added a commit: rB6562e4ebe9dd: Fix T46189, draw style for waveforms occludes sequence strip text.. I am getting white on white now. shouldn't it be white waveform and black text? Just a matter of themefying it I guess, I will commit this separately. We could auto-contrast too, not really a fan of adding too many theme options, we have a lot already. @Campbell Barton (campbellbarton) It would be great for people who create themes though. And from what I've seen of the internet's Blender video-tutorial wealth people have custom theme quite often so I guess it's a used feature. I agree with @Campbell Barton (campbellbarton), waveform drawing color isn't worth a theme option IMO. Auto-contrast sounds like a sufficient alternative. Remember, we already have much too much theme settings. Julian Eisel quote: Each of the 17 editors has the same 17 standard color settings, a total of 289 - it could be 17! I think the problem is with all the same settings like "Header" etc not something as unique as waveform color. Merging color settings for the Editors together would be great. Especially if the option to fine-tune these 17 options for specific Editors (if checked) still existed. Would be great if only specific needed color settings could be enabled (background-color useful 'only' for teaching for example). Just take a look at how many themes have been created for Blender even though it's so hard. Now they are even in Blender by default and not only in Graphicall builds. I haven't used the default theme for a long time. While I see the reason to merge similiar theme settings together, I don't see a reason to disable theming of this. Someone might just want to have 70% grey setting for text while unselected and 100% white text while selected. 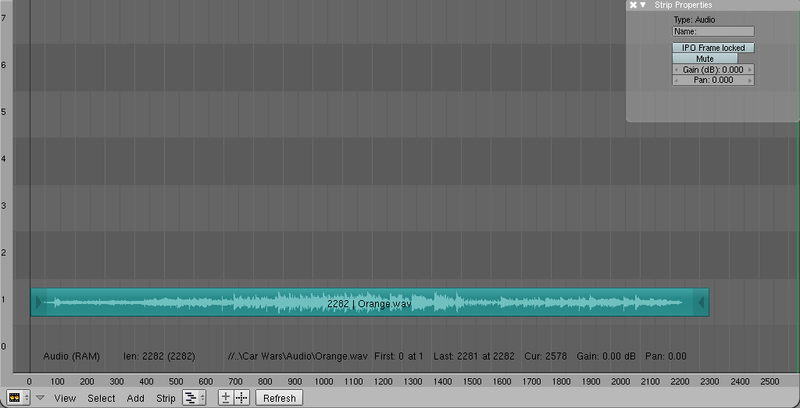 That would actually remove the problem with overlying black text over the waveform altogether. I have no idea how hard is it to make things theme-able though, so if it's too hard, just deal with whatever more important stuff. Adobe Illustrator doesn't even let you change how you zoom or pan. Their default is Alt + Roller to zoom and Space + LMB to pan. That is plain stupid by the way since when you type anthing, Space is occupado and you have to pan with Alt+LMB.